Boxing or kickboxing, which is better? Gym memberships and fancy equipment aren’t the only things required for achieving your body goals, martial arts can come in handy too. 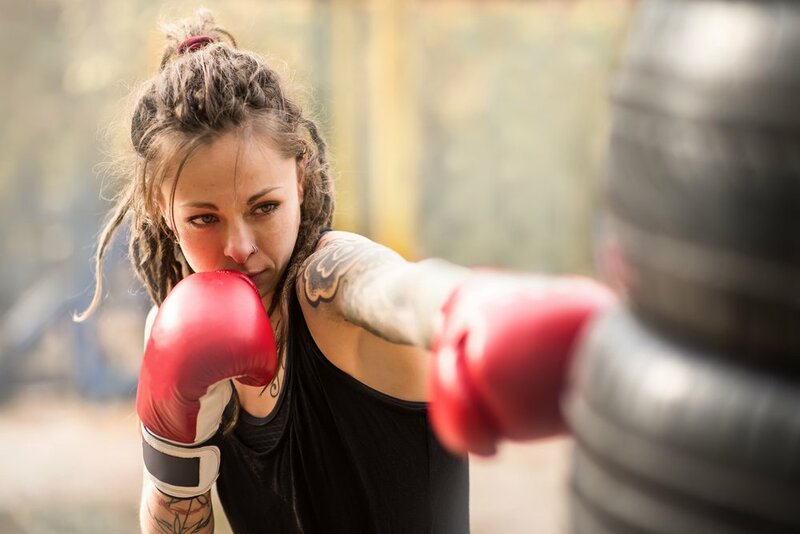 Kickboxing and boxing are the two sports that are often mistaken as one because of the almost similar techniques they have but, one can still come across many differences between the two. The key difference is the technique. In kickboxing, both hands and feet can be used while in boxing only hands are used. In boxing, strikes are not allowed below the belt region whereas in kickboxing the opponent can hit you anywhere. Kickboxing involves kicks and punches while boxing involves punches and blocks. Escaped the strikes by using the feet to walk away or ducking low is allowed in boxing whereas, in kickboxing, one cannot duck low as there is a possibility of being kicked in the face. Kickboxing is great for maintaining cardiovascular fitness as it provides a full-body workout and allows you to sweat out toxins. The quick kicks and punches help in focusing your energy on each movement, improving your reflexes, coordination, strength, balance, and mobility. The innumerable high-energy kicks and punches can help you let go of any anger and stress. Just an hour of kickboxing burns 600-744 calories. Just an hour of kickboxing burns 354 and 558 calories. The punch and the jumps are great for maintaining cardiovascular fitness as it is a form of cardio and any cardio activity enhances your heart health. Boxing training/workout includes other strength training moves which are good for your total body strength. The high-energy punches can also help you let go of any anger and stress. Stating the above facts, the difference in technique does not quite contribute to its advantages. There is no such thing as a superior martial style, therefore, it is up to you to decide if you want to become a boxer or a kickboxer because both are genuinely good for your health.